One of the ways we can move God’s heart is by being faithful to His missionand obedient to His calling. 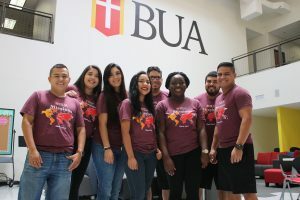 That’s exactly what several BUAstudent-mission teams set out to do this summer. BUA’s Office of Missions and Ministries program is committed to serving those in need, both locally and globally. 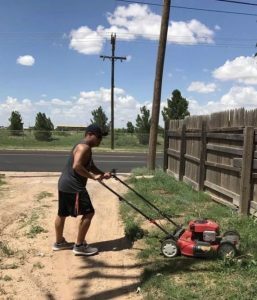 This summer, they organized two mission teams to serve churches and communities throughout Texas: SET APART TOUR, BUA Texas Mobile Missions Team, and PASIÓN (BUA’s Worship Missions Team). 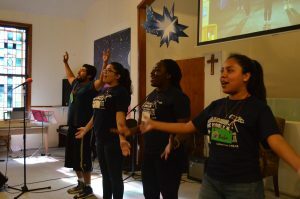 The second missions team was PASIÓN, four students with musical abilities that serve by leading worship at small Hispanic churches throughout Texas and Mexico. This team does more than sing and play instruments, they also engage in teaching Sunday Schooland leading worships for youth groups. 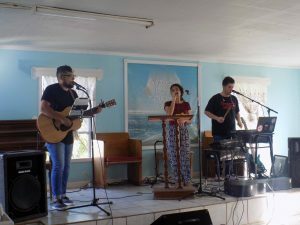 One of the main vocalists, Kendra Tenías, shared, “Serving in Matamoros, Mexico was a beautiful experience. I felt the love of Christ through the hard-working people that dedicate their lives inservice to Him and others. Although the y had very limited resources, they went out of their way to feed us well and make sure we were full. My heart came back full of love and with a clear perspective of what it really means to live for Christ…. it’s not in having much that’s important, but in doing much.”This team also had the opportunity to encourage young students about higher education. Mission work opens the door to share Christ in practical ways and showing others that obtaining an education is not impossible. Our students are a living testimony of that. Some of the churches served included Riverside Baptist Church (Fort Worth), First Baptist Church Caldwell (Caldwell), Baptist Temple (San Antonio), First Baptist Church Elmendorf (Elmendorf), Trinidad Baptist Church (San Antonio), Alliance Church (Lubbock), Joshua House of Worship (San Antonio), Belen Baptist Church (Dilley), Life Church (San Antonio), New Beacon Hill Church (San Antonio) and Iglesia Bautista Galilea (Matamoros, Mexico).